There's nothing better than a huge, heaping plate full of soul food! 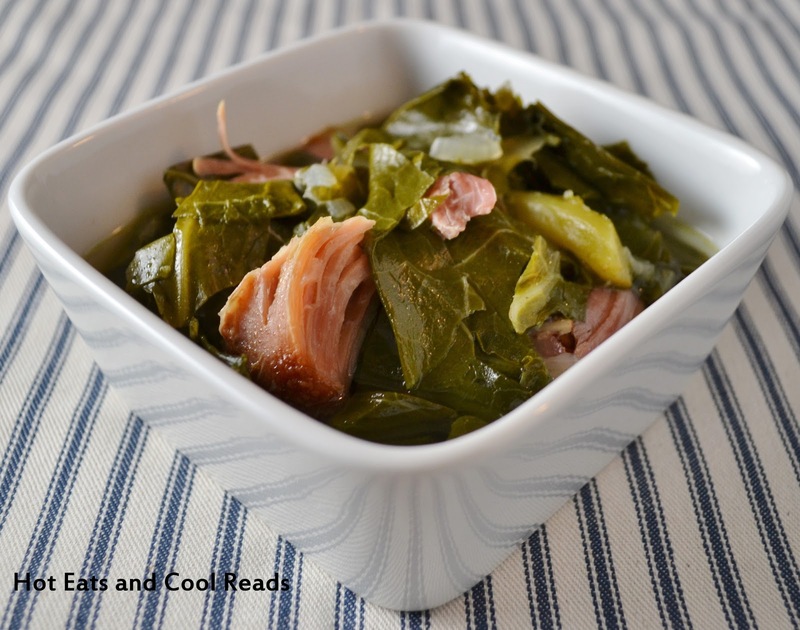 These greens with smoked turkey are the perfect addition to that plate! I love some fried catfish and chicken, baked mac & cheese and cornbread along with some of these greens. That's one great meal! When you cook these, make sure to give your self a few hours for them to simmer while you are preparing the rest of the food. They are so full of flavor and pretty healthy too. Enjoy! Combine all ingredients except the turkey leg in a large stock pot. Add enough water to cover 3/4 of the greens. Add turkey leg. Bring to a boil over medium high heat. Reduce heat, cover and simmer for 2-3 hours. Remove the turkey leg during cooking, remove meat, cut into bite sized pieces, and add back to the greens. Serve with a few dashes of hot sauce. This looks so good, I always make a big pot and freeze them. Put on a pot of hot rice and cornbread. This is good eats. I will have to try them with rice!! I agree, such good eats. Thanks for stopping by! I was just saw that you put this recipe on Chef in Training. Yummo! I love hearty greens like this and the turkey legs sealed the deal. Hope you will share on Thursdays Treasures. Thanks! I missed linking up this week. Will have to catch you next week! This looks so good. I can see my family eating it after the holiday, when you need good soul food! Thanks for sharing this on Foodie Friends Friday. I look forward to seeing what you bring next week. Great healthy version with smoked turkey. Thanks for sharing this soulful food with us. Being raised in the south, I love collards. Smoked turkey is a great replacement for pork.